Release: MVS January 2019 / AES / JAMMA tba. is a comical action Run'n'Gun shooting game made for the 16 bit system NEO·GEO. 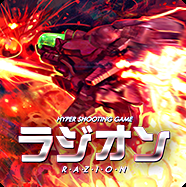 RAZION / ラジオン is a horizontal shooting game. The score system is based on growing gold cubes and using the beam. 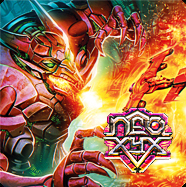 NEO XYX is early 90is style maniac shooting game. It's the first full vertical (tate) game for the NEOGEO ever. Fast and intense. 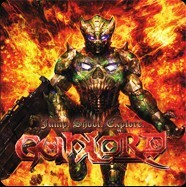 Gunlord is a Eurostyle Platformer with emphasis on exploring huge worlds and blasting off enemies. This game features 8 stages of exciting 2D game play with over 45 unique enemy types. Blast yourself through giant landscapes, explore caverns and reveal all secrets!! 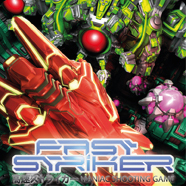 FAST STRIKER 1.5 is a 2D arcade shooting game with emphasis on scoring. You can choose between 4 game modes with different scoring systems. 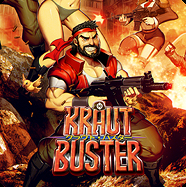 This game features six stages of excellent 2D arcade game play with over 40 unique enemy types, super smooth 3D scrolling backgrounds, huge CGI bosses and it features the biggest Megabit count ever since the beginning of NEO·GEO™ games.